Friends of Jubilee Colliery based in Shaw in Oldham, was set up in November 2014 and aims to bring a historical gem within a nature walking area to the attention of the local and wider community. Made up of 14 volunteers, the Friends of Jubilee Colliery host many tours around the site to teach local residents about history that happened right on their doorstep. The group was founded on the back of a local community project called ‘Preserving the Past’, where residents came together to help preserve the old coke kilns in the colliery that was in operation between 1845 and 1932. Trees, ferns, mosses, fungi and flowers now colonise the colliery remains, attracting local wildlife to the area and making it a fascinating place to visit. A team of local volunteers helped drive the Preserving the Past project forward and, following an initial phase of inductions, the volunteers carried out a 10-week dig delivered in partnership with Oxford Archaeology North. 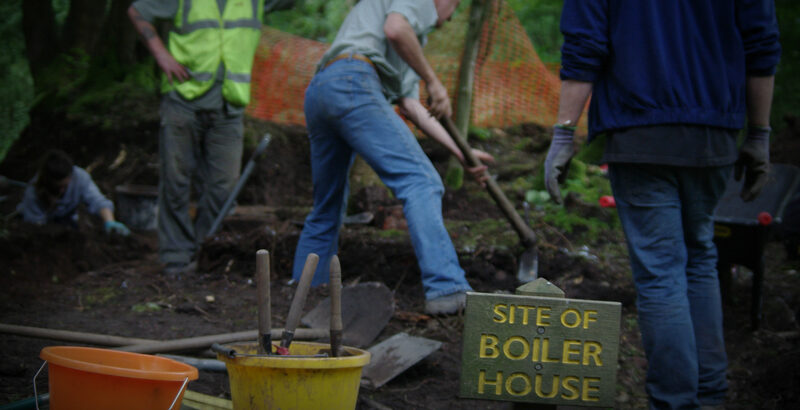 As well as the core group of Jubilee volunteers, the dig provided opportunities for schools, groups and other individuals to get involved. Residents became so passionate about the colliery and its surroundings that they set up a ‘Friends of’ group to continue the area’s progression and encourage other local residents to learn about the area’s history.